Do you still have those running boards? No they are long gone. Replaced the windshield with the newer style and rubber gasket. 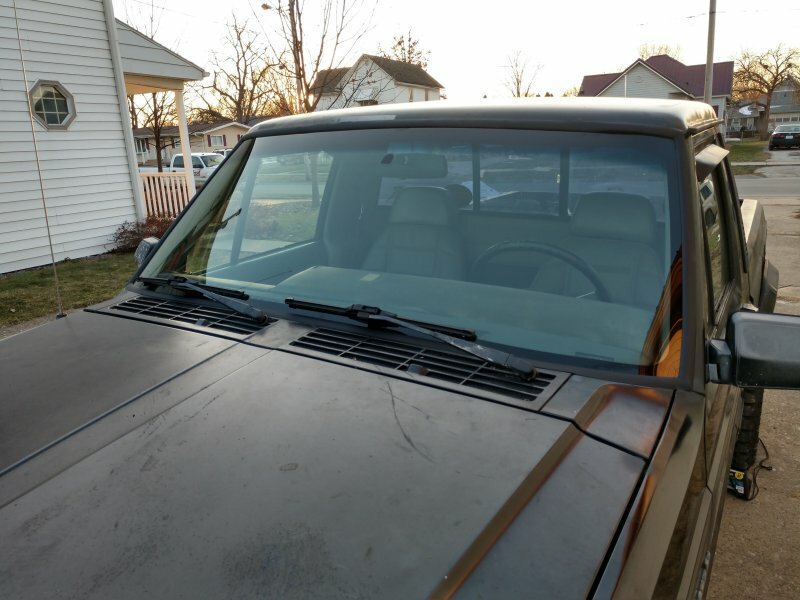 Old windshield with the metal trim. I was amazed with the amount of dirt under the metal trim. No windshield. Very happy no rust to be found in the windshield frame!! 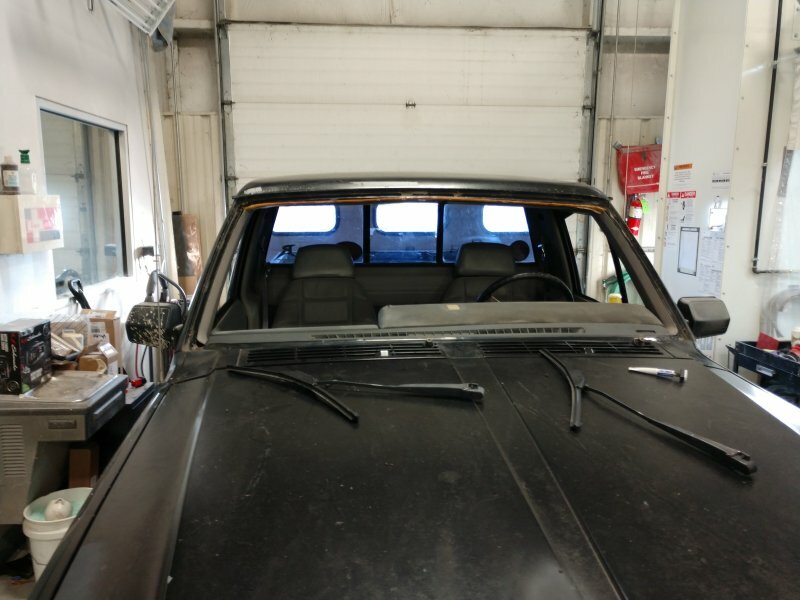 New windshield with the rubber gasket. I replaced the IAC today. She has had a wondering idle almost the whole time I have owned it. The new IAC helped a little. 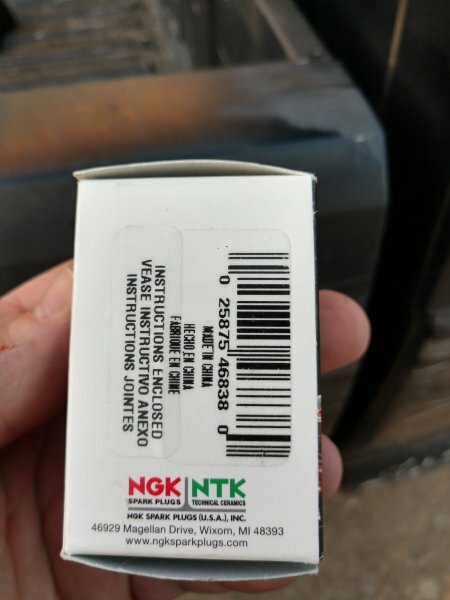 I ordered it from Rock Auto and was thrilled that it turned out to be NGK when I got it. It was only $14. Part #2H1141. ￼Thought about taking a picture after I had started to remove the old one. The new one installed. It did help the idle some. Still wanders a little. Had a couple days off and took full advantage. Changed the leaking clutch master cylinder. Would like to thank whoever's question on how to bleed that fine unit. My bleeder is just a huge chunk of rust. I read somewhere on here to just pump it fifty times or so and let it sit. Wouldn't you know that worked like a charm. Best clutch pedal feel she has ever had! I took the seat out so I could reach everything easier. 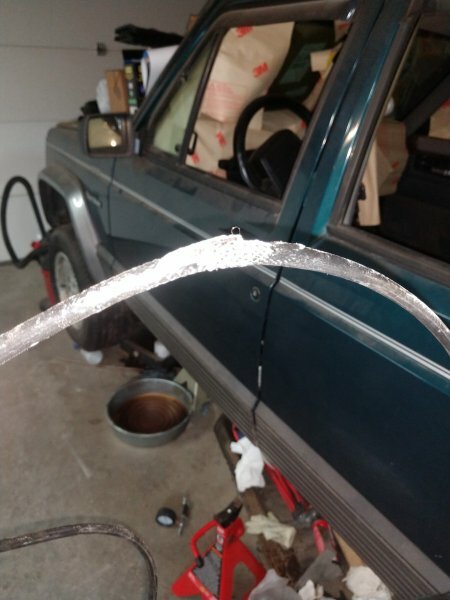 While I had it out I replaced the parking brake cable. I was thrilled the back two cables are good and I have a working parking brake. Very nice to have with a manual no more wheel chocks. While I was under there I noticed the rubber fuel lines looked wet. 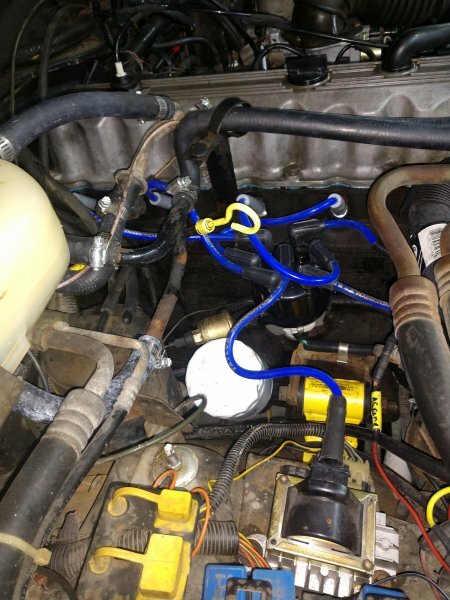 So replaced both of them with new hose and the correct high pressure hose clamps. 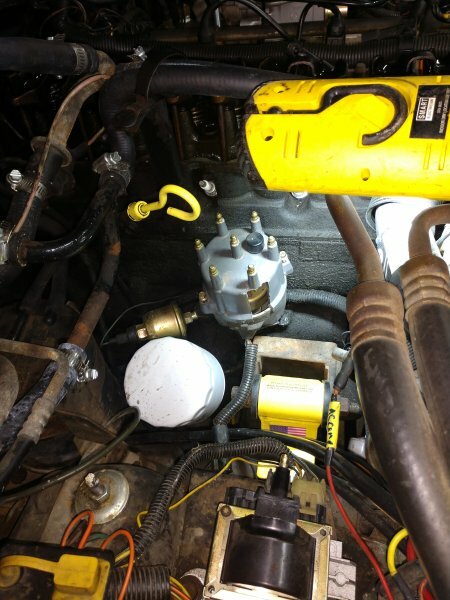 I also decided while I was under the truck to add the extra fuel pump ground. I believe I have finally got all the grounds refreshed and added. Changed the spark plugs and oil. 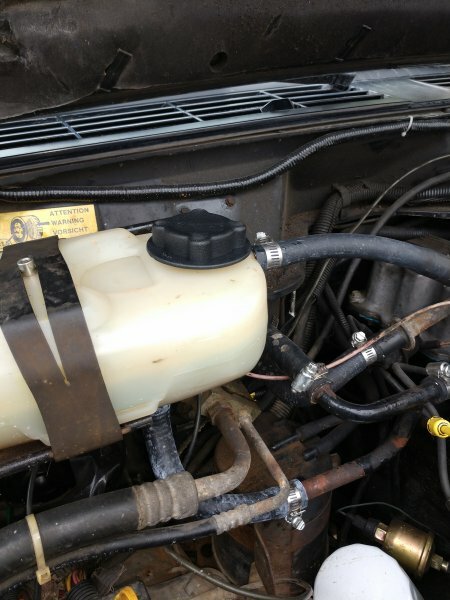 I went with a Centric master cylinder. 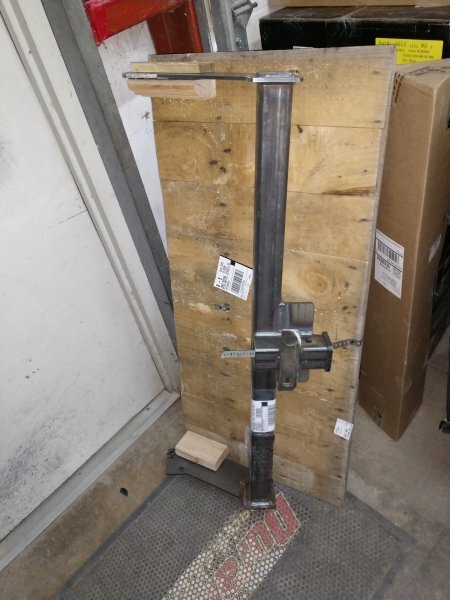 I will update how it holds up. Not sure who I need to thank. 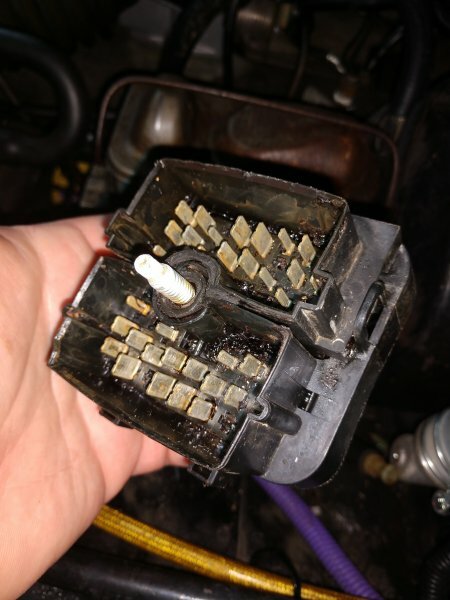 Shortly after joining the club I read about putting a sponge over the fuse block so when the master cylinder leaked it could catch it. Well that works! 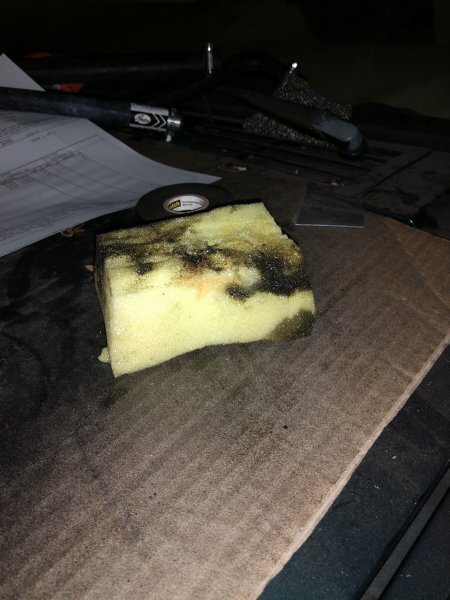 The proof is in the sponge. Almost looks like it's supposed to be there. Finally got a little time to work on the old girl. 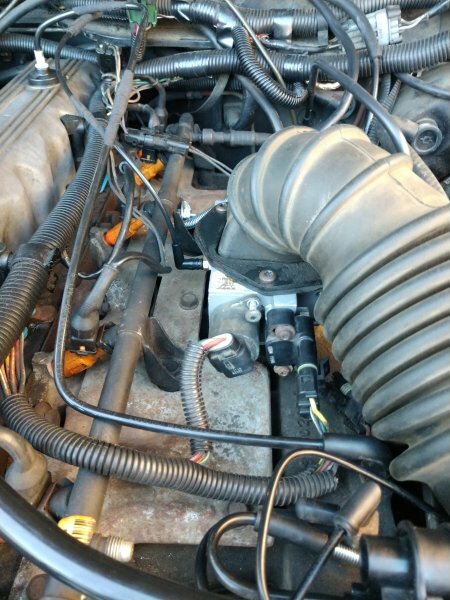 Replaced the water pump and thermostat. 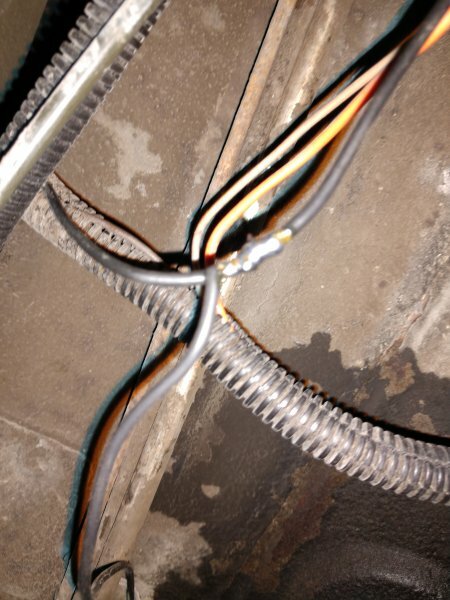 While I was there I replaced all the heater hoses. 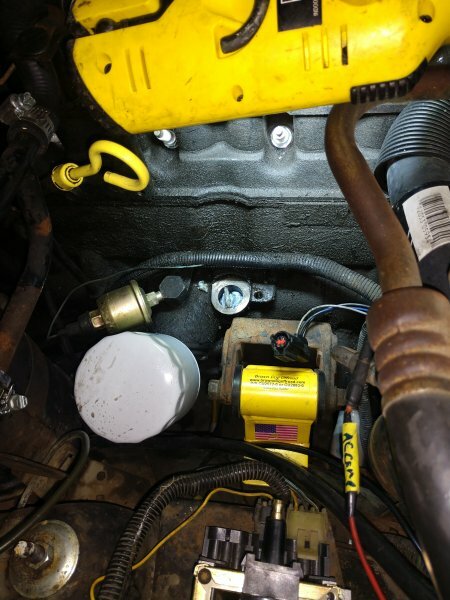 Got a OEM pump and thermostat. 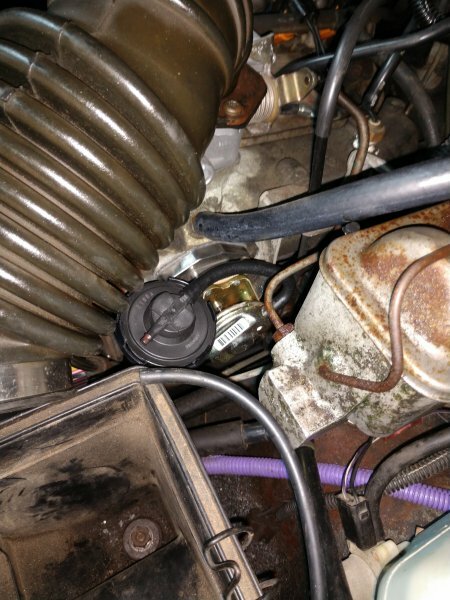 The bearing was out of the water pump and the thermostat housing was leaking. 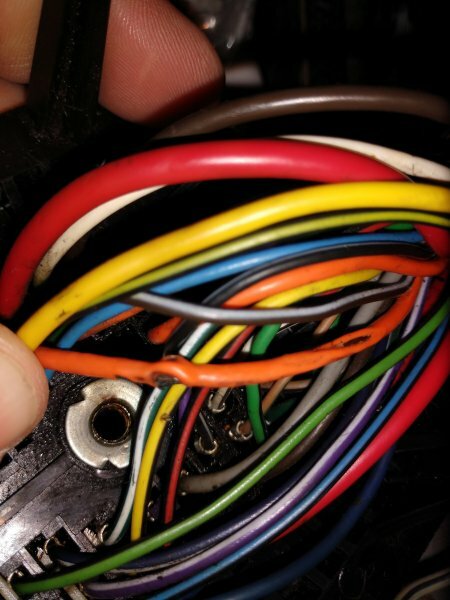 Someone at one time was a fan of that cheap black silicone. 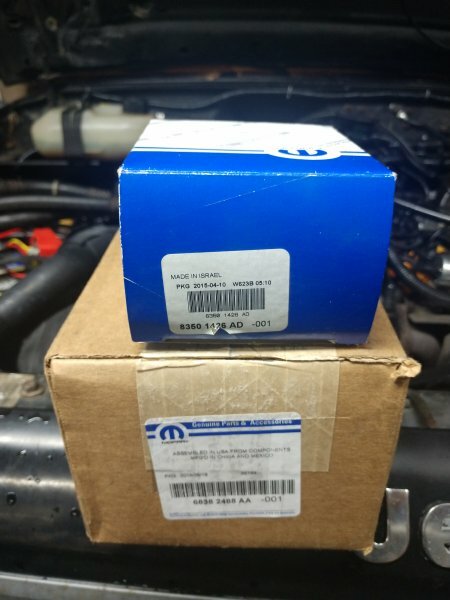 Was very happy to find out the water pump and thermostat were still available from Mopar. Water pump party number is 68382488AA. 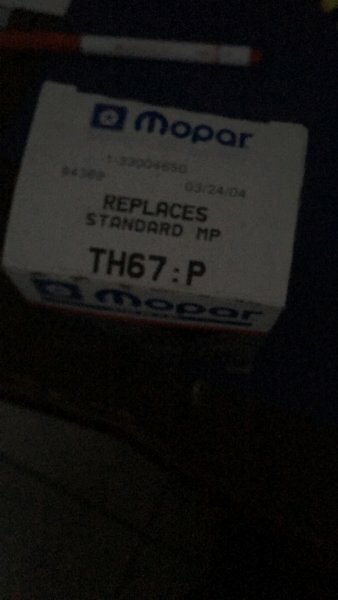 Thermostat part number is 83501426AD. 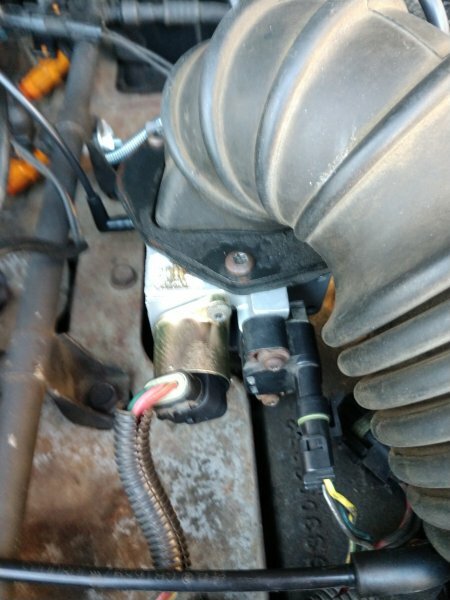 ￼The Mopar thermostat has the little bleed hole built in. 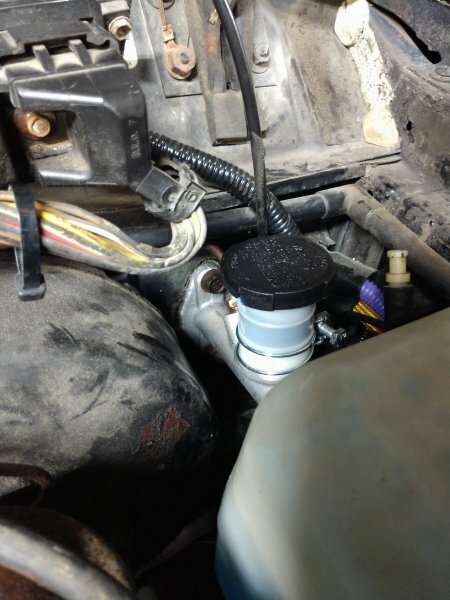 This definitely helped with the coolant system bleeding. 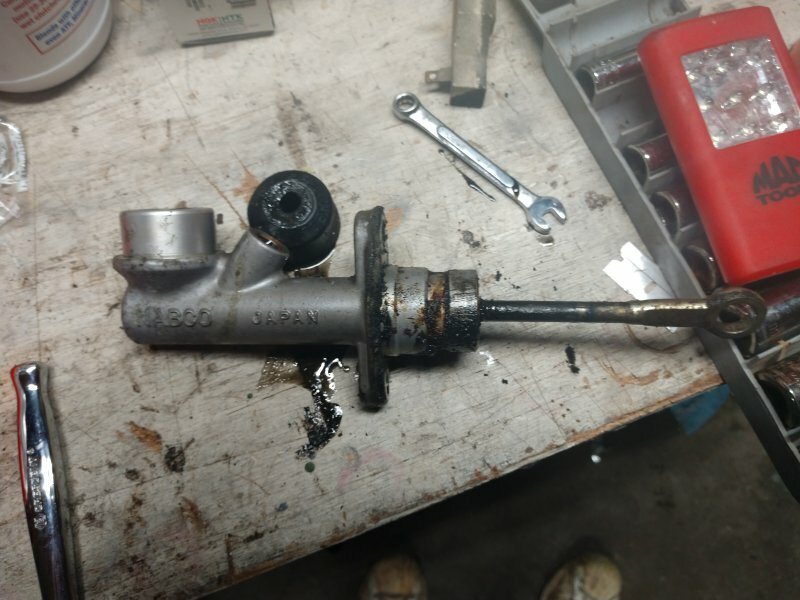 Not sure why they needed the mount bolt for the power steering pump bracketbehind the pump. I think the other 3 might be enough. I did put it back in though. Gates hoses are dirt cheap on Rock Auto. 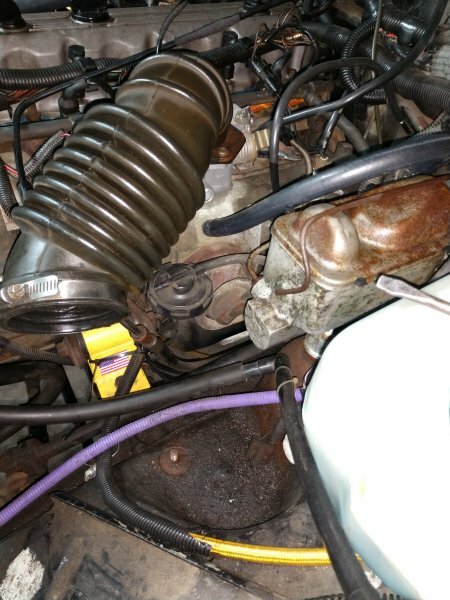 $40 for four of the heater hoses and both radiator hoses. Had to get there one to the reservoir from crown. Thankfully I found it on eBay for $8. One piece of 5/8 hose to finish it out. All new rubber should be good for another 30 years. While I had the garage warmed up I also tighten the manifold bolts. 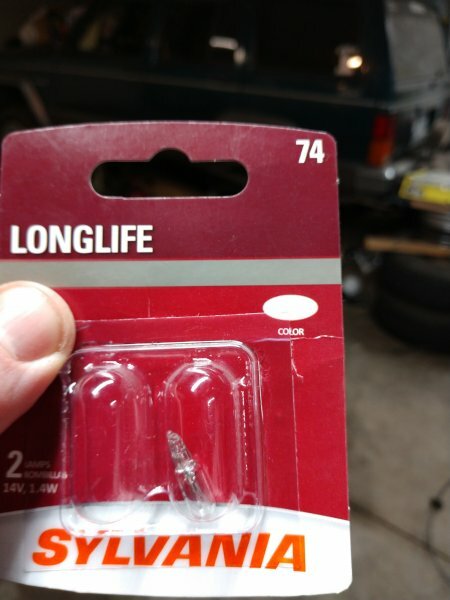 Was a little surprised all of them were a little loose. All in all a good day! Had some time finally and it wasn't below zero. 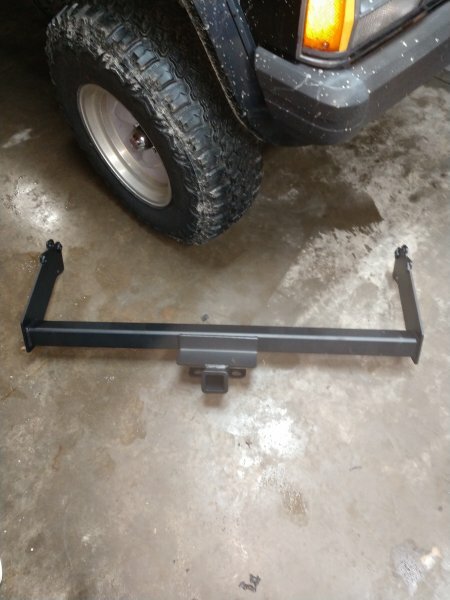 Finally installed my hitch from krustyballer. 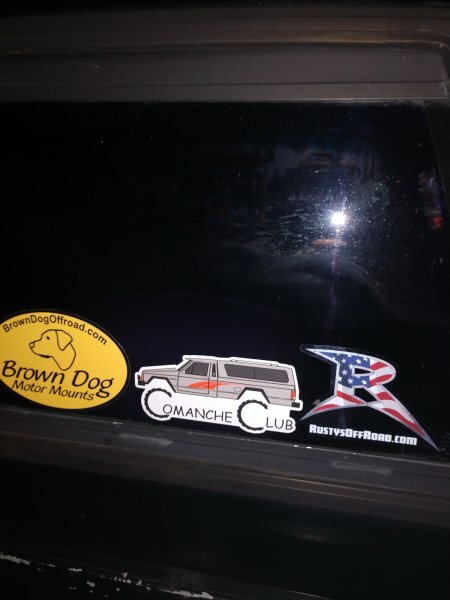 It is a very nice addition to the old girl. Looks great powder coated matt black. Thrilled to have a great hitch. Krustyballer makes a very very nice hitch. Finally a recovery point when I get her stuck! 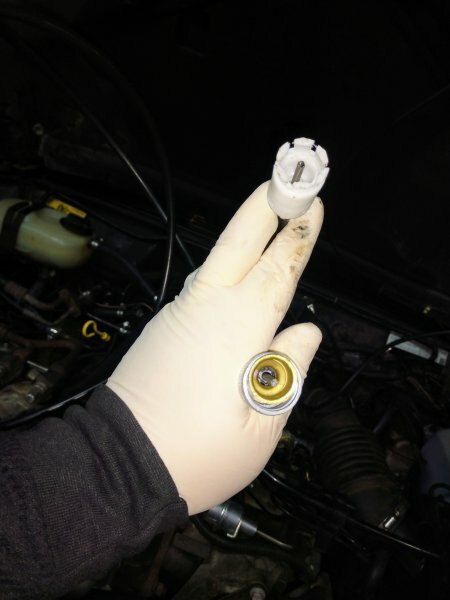 I also replaced the EGR valve. I'm not sure if it was working right but it thought it was a duck. It literally made a noise that can only be described as a quack. 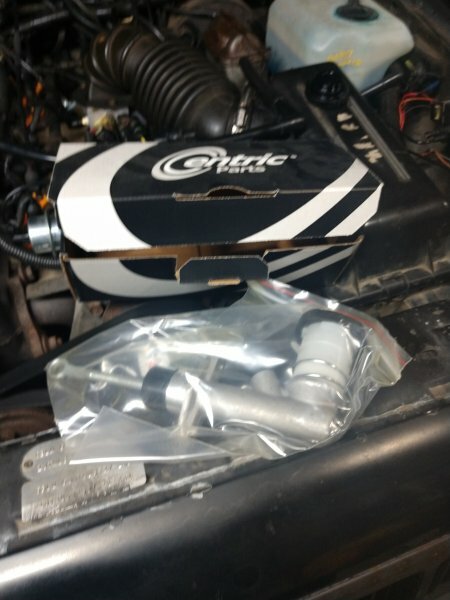 I was surprised that all three parts stores in town didn't show the EGR valve available. They also all showed not available online. 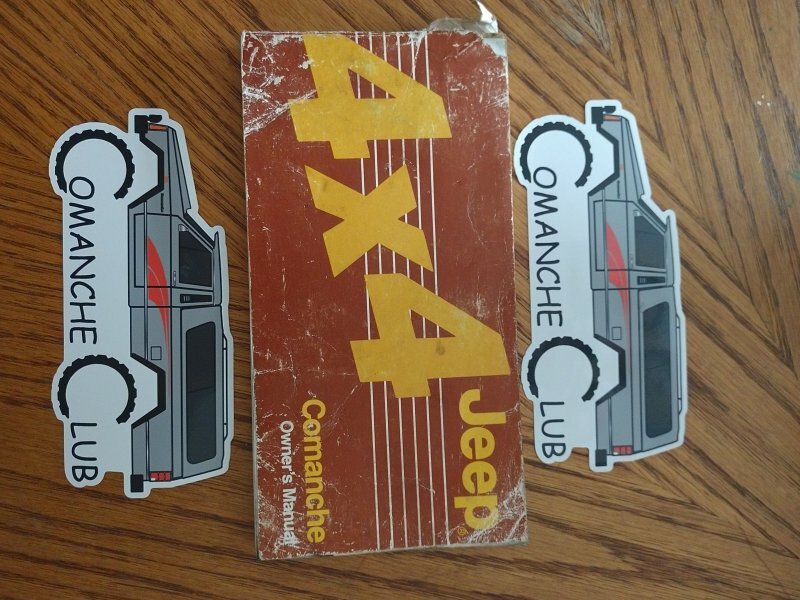 I finally found one from pepboys online. I also readjusted the parking brake. It's was a good day. So I finally pulled the fuse block out. 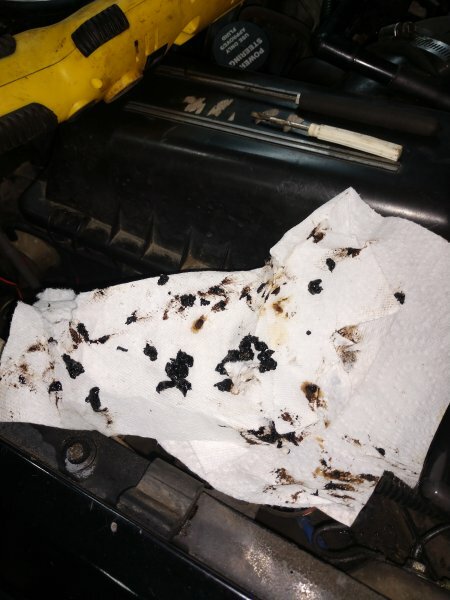 Holy crap that black stuff is nasty. 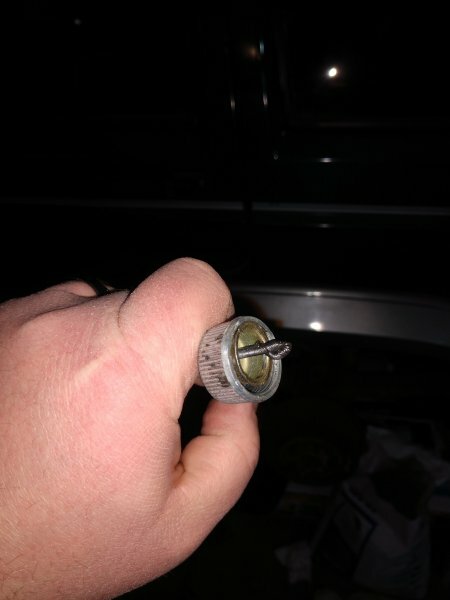 I was hoping to find why my fuel pump wants to run constantly sometimes if it feels like it. 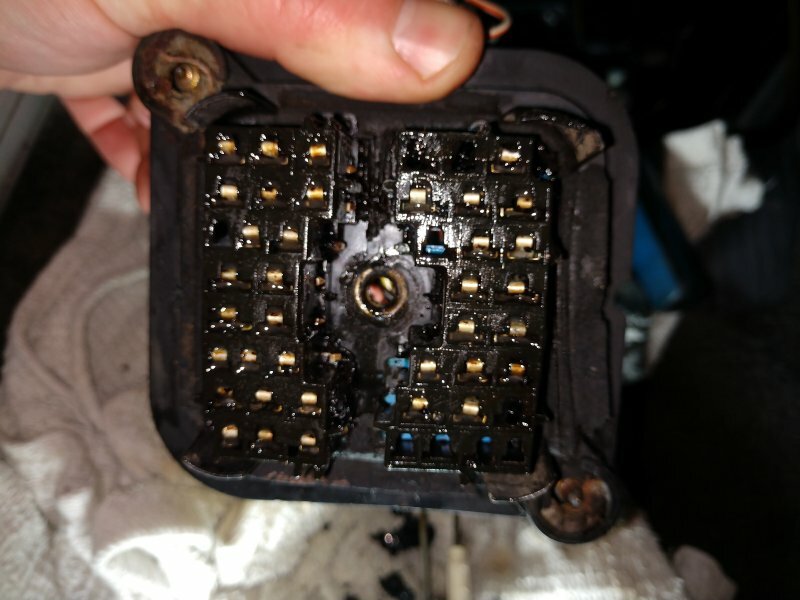 Not only did I find the problem I also was pleasantly surprised how well the fuse block looked. 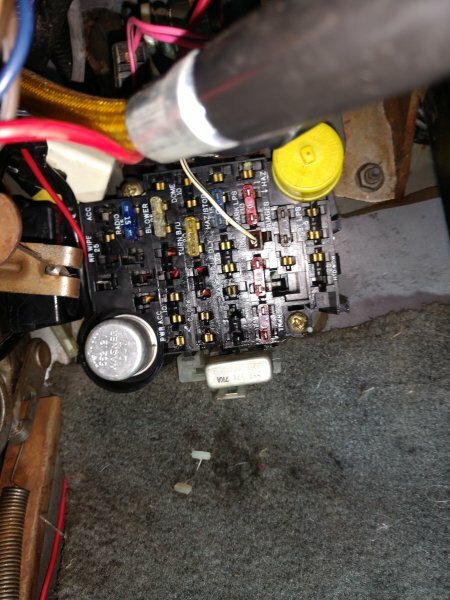 The clutch master cylinder was leaking before I got it I believe and for who knows how long.I found the power to the fuel pump was crossed to a constant in the fuse block. After three hours I finally got the connections cleaned and the black tar out. 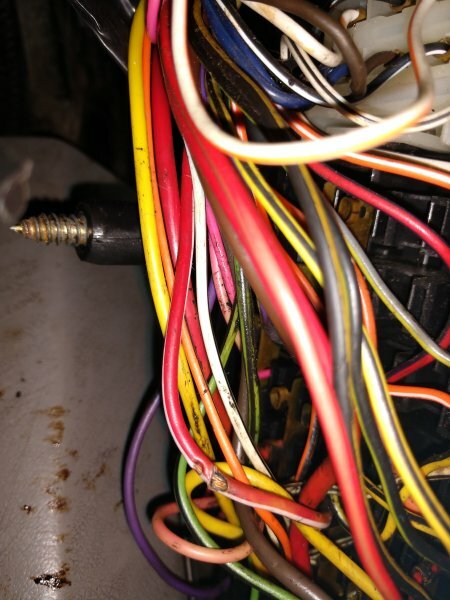 Those were the only two wires that weren't in good shape. 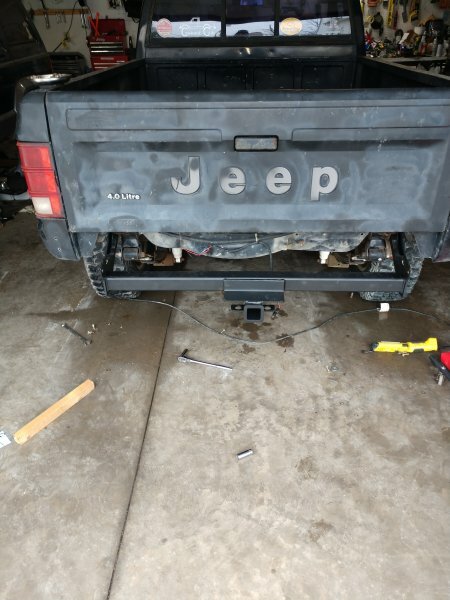 It's back together and only runs when it's supposed to. 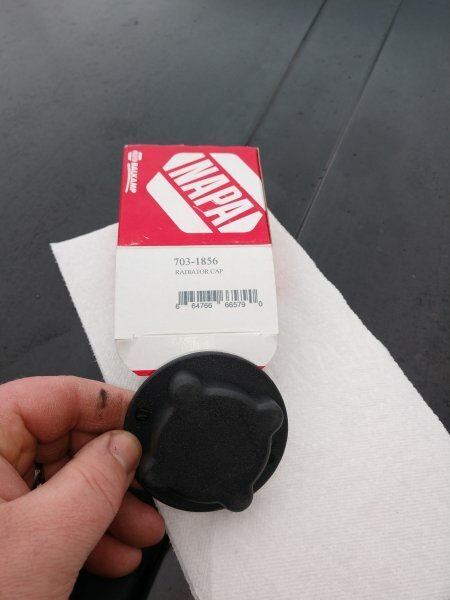 I found the Napa coolant tank cap I had bought. I really need to clean the work bench! The Napa cap fits better then the one that came in the new tank. I also changed the bulb in the clock. I had never seen a 74 light bulb before.I That thing is tiny. I can finally actually see the time. 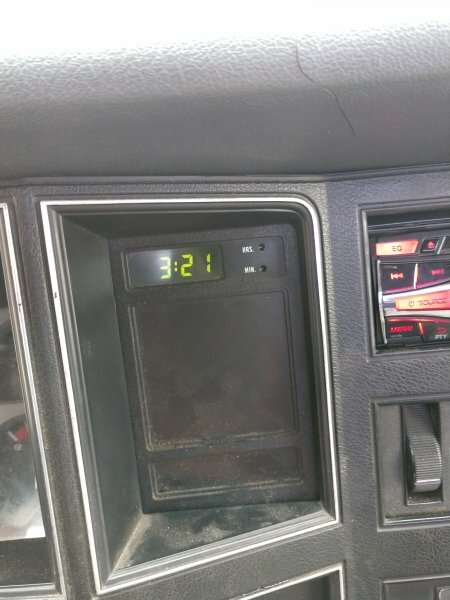 I do believe for the first time since I have owned this truck everything finally works. It only took me 9 months. I know something else is going to break tomorrow but that's tomorrow hopefully. 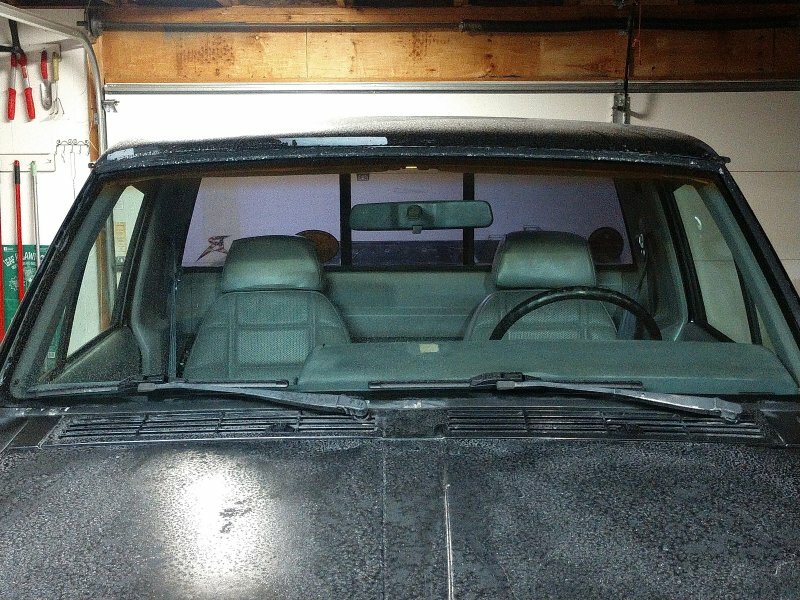 I guess I should put the floors in the XJ so I can do floors in her. 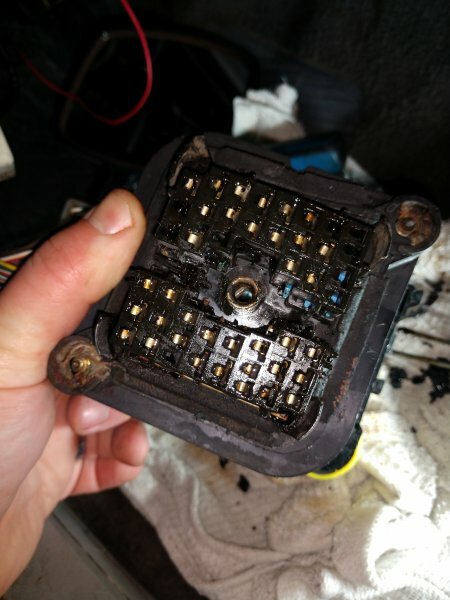 Well I knew better shortly after I got it all back together I smelled burning plastic. 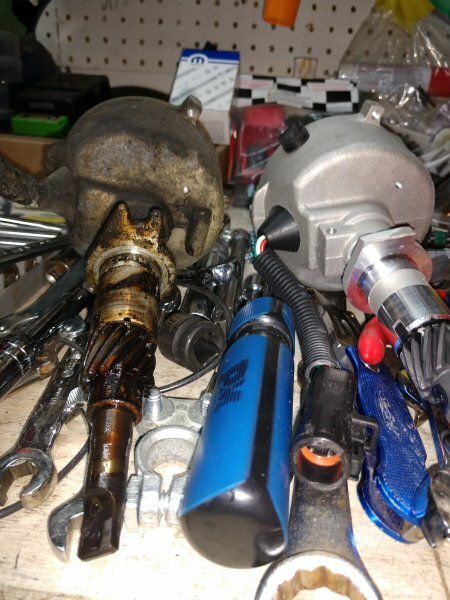 The good part is that it was only the speedometer cable on the exhaust. 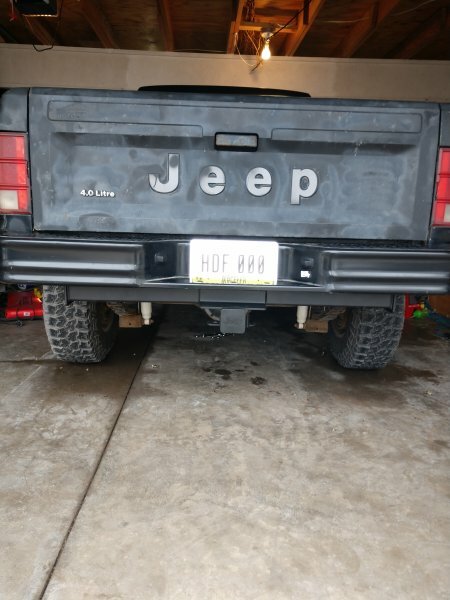 Had a little time today so I installed a new one. Hopefully everything will work for a while! Didn't take long to melt this fine unit. It balled the t case end pretty well. I wish I had lubed it before I installed it now my speedometer is super jumpy. Did you ever get the idle smoothed out? I noticed you said you did the 89-90 computer swap. Was it from an auto or a manual? I’ve been chasing an idle issue with mine and I had swapped the computer and wonder if that might have a little something to do with it. 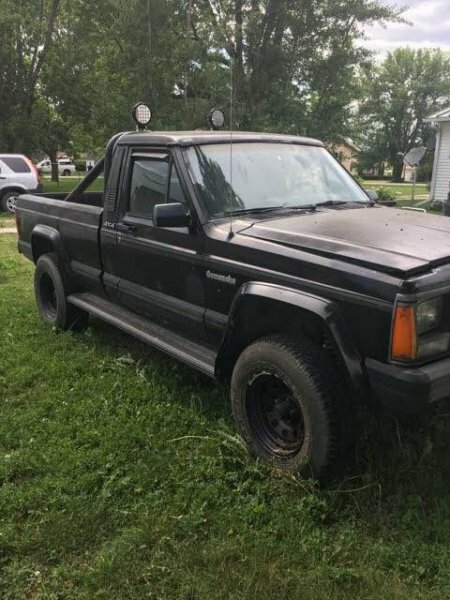 You’ve seemed to fix and replace a lot of parts I’ve been eyeing for mine. I’m just tired of throwing so many new parts at it. I still am not happy with the idle but it's better than it has ever been. When it's warmed up it for no better term seems to hunt for where it wants to idle. Goes between 750 rpm and 600ish. This is warmed up. It can't seem to find where it wants to be. Going to index the distributor tomorrow or Friday. We will see if that helps any. 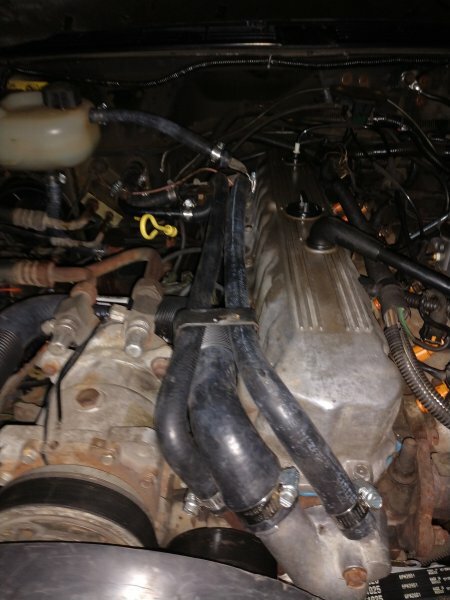 Going to pull the valve cover and see if I can find my engine noise also. It seems to knock or rattle at idle. Computer swap was a manual. Mine idles between 1250 and 2k and I haven’t been able to figure it out. It usually idles at 750ish for a minute or so and then it goes up. No matter what by the first stop sign it’s at 1250-2k and I don’t know why. 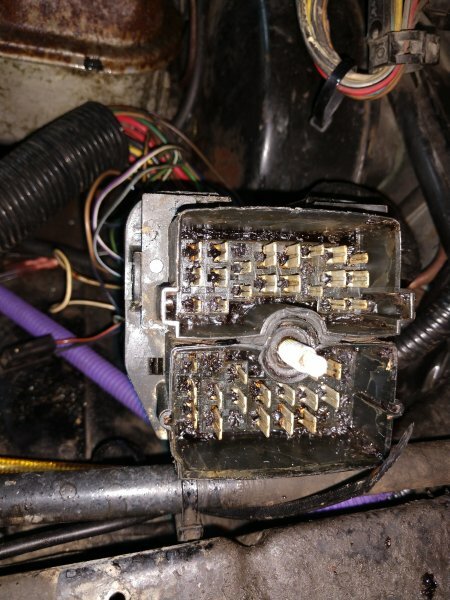 I’m wondering if maybe the o2 sensor is to blame, or maybe the auto computer even though it was said to work in a manual. You've mentioned Indexing the distributor before, not sure if that could cause a idle problem like your recordings show. Have you ever run a compression test on each cylinders? 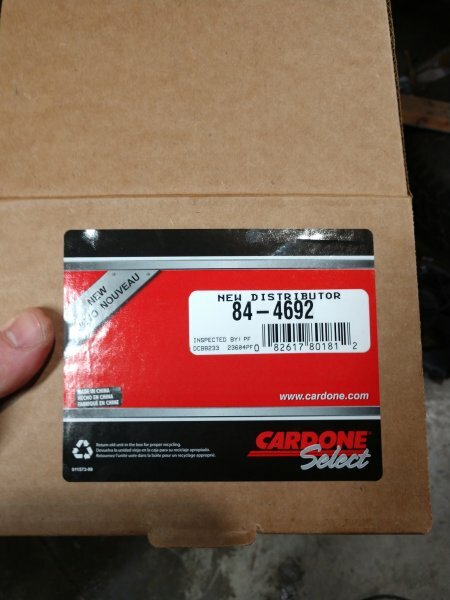 If you’re speaking to me, the distributor is properly indexed according to cruiser, and the last I checked it was 180 psi across all cylinders. Going to index the distributor tomorrow or Friday. We will see if that helps any. 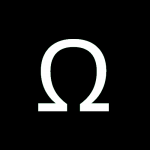 I have not done a compression test yet. Never really thought to, to be honest. It runs amazing minutes the little stutter it has at idle. Now if I can find my compression tester. Not sure the last time I saw it. 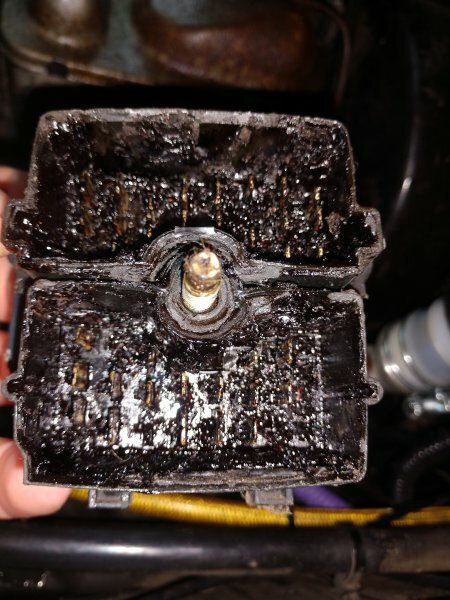 Wow that fuse block looked nasty! 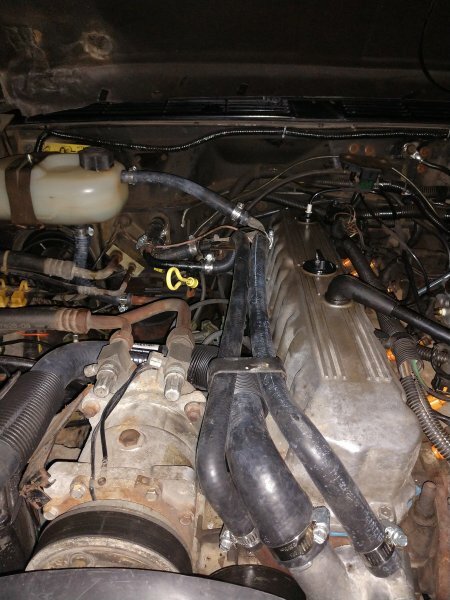 Seeing that put doing a deep clean of the block on my truck on the high priority list. 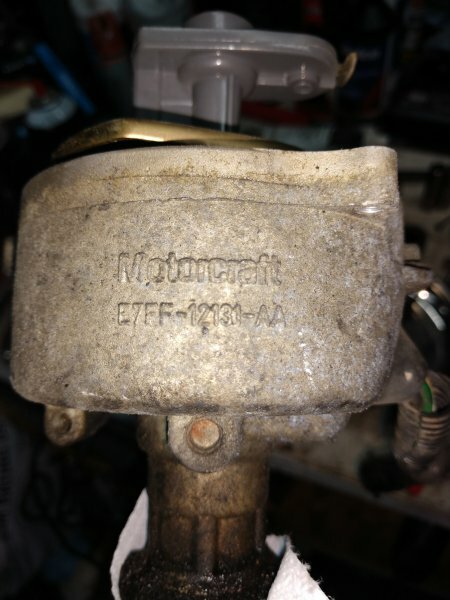 How has the clutch master cylinder been holding up? The master cylinder is still working great. 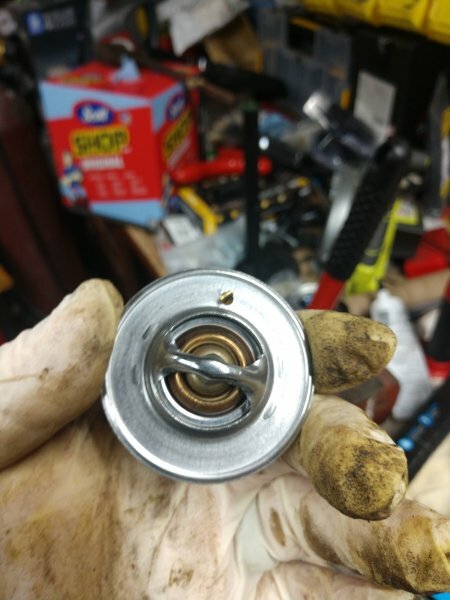 I have had pretty good luck with centric parts. I wish I had pulled the fuse block sooner it really wasn't that bad. I was surprised how bad the old cap looked. It was only 8 months old. It made a good one to cut open though. 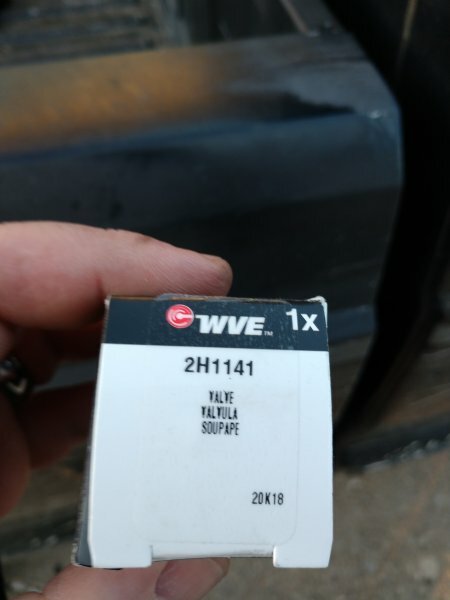 The old gasket was on there good. 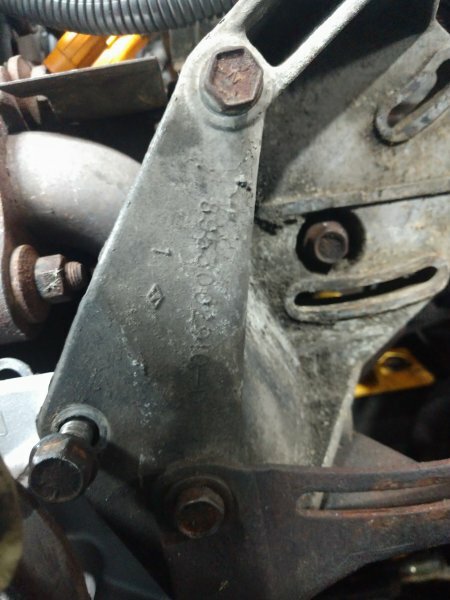 What little bit of a gasket there was. 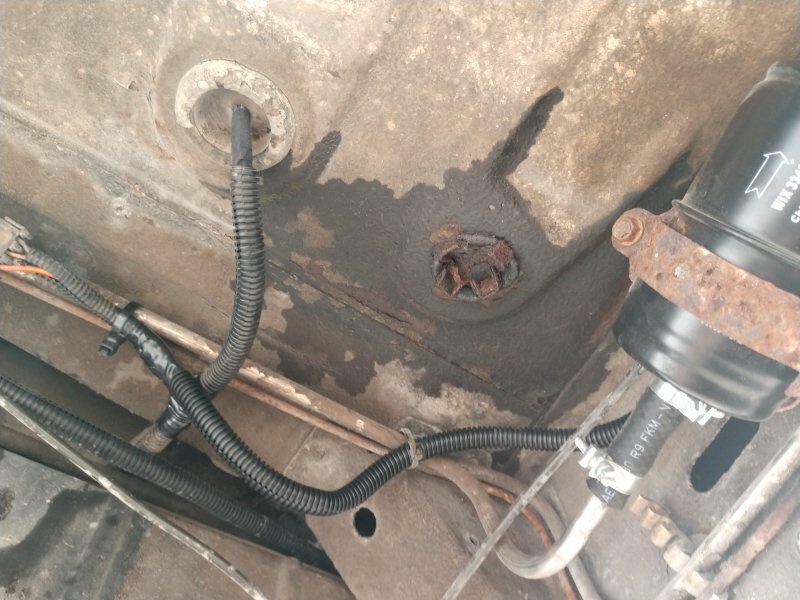 One more oil leak fixed hopefully. Did your idle smooth out? Maybe? It idles well it goes back and forth from 620 to 670 according to the scanner. 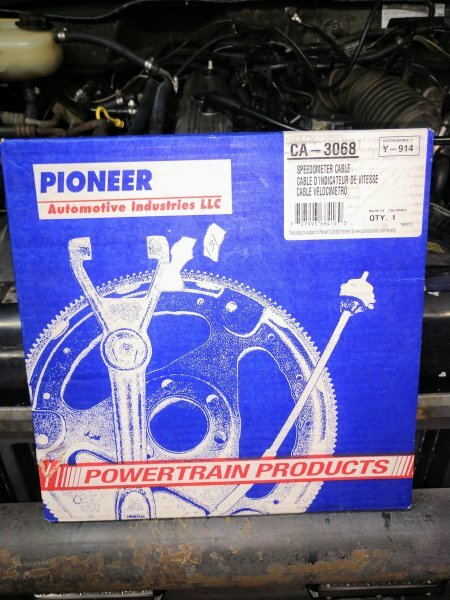 I guess I don't know what idle RPM should be. The mail box was an interesting combo today. RIP Don. Don was first person to follow my build and it made my day when I saw that! He is and will be greatly missed.